Do you work for Squarespace? Learning about Squarespace? We can help. "We use it to create blog posts"
"Easy to Build and Manage Websites"
Squarespace has all the tools you need to build and manage a great-looking website easily. Their templates are stunning and require little to no coding experience to customize to your needs. 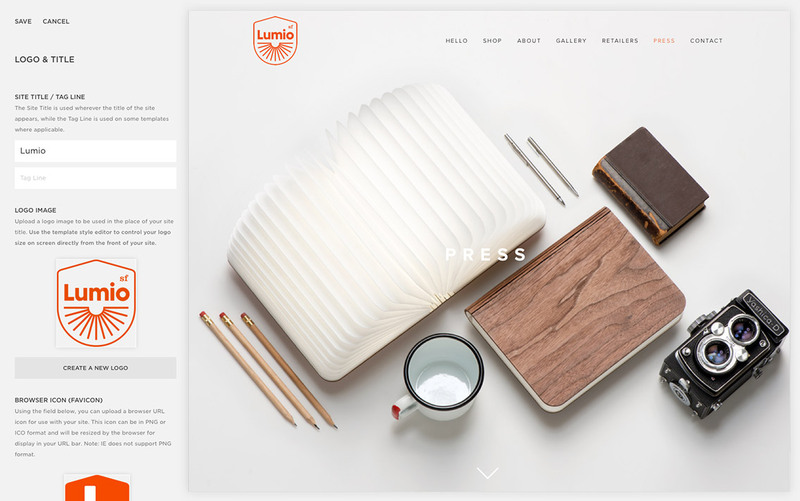 Their drag and drop page builder is simple and intuitive. Their pre-made content templates make designing for every platform a breeze. Even domain transfer and purchasing is built-in, taking the headaches out of that often complicated step. It would be great to be able to preview a built website using different templates, to compare designs. Sometimes the drag and drop editor can be buggy, but they have made many improvements to make it easier to use. Since I build so many websites on behalf of my clients, it would be beneficial for them to have an affiliate program. As an agency, I was looking for an easy platform to build websites for my clients for them to eventually manage themselves. Wordpress can be too cumbersome -- requiring tons of plugins to make them do what you want. Squarespace allows me to quickly build beautiful websites and seamlessly hand over the keys to my clients, many which have little experience managing a website. I use Squarespace for every client and can't imagine what I'd do without it. "Squarespace is high quality, user friendly, and inexpensive! " First of all, I love the price for Squarespace. I haven't really done much comparing with other companies because we've been using Squarespace in our organization for several years (long before I came here), and I've loved using it. It's extremely customizable and easy to use. I'm able to edit almost every factor to represent my brand. I had no experience designing a website before I started this job, and I've had little to no trouble learning my way around Squarespace. For anything I can't easily figure out on my own, there are a lot of helpful resources online. I have few complaints about Squarespace. There aren't many things that their websites can't do. I've even learned a little about embedding code to make up for anything I can't do through Squarespace. I have had some issues with editing different font styles on my website without editing ALL text of the same kind. 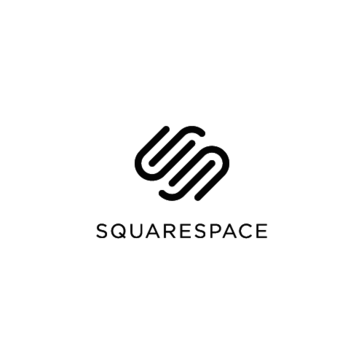 If you want to design an attractive, professional website, and have any level (or no) experience with website design, Squarespace is a great tool for you! Since I did an overhaul and update of our website about 3 years ago using Squarespace, I think our visits and usage have definitely gone up. It also helps us present our small but mighty non-profit in a professional light. "The fastest way to build a quality website!" I like the integration that Squarespace has with other platforms. From marketing and SEO to payments and social media, you can integrate a TON of different things into your Squarespace site with just the drag of an icon into the build page! I dislike how different the theme layouts are built. You can have a perfectly functional page built in one theme layout, but if you switch it to another theme, it can sometimes rearrange nearly everything and make your page require a lot of work just to function as it did before. Squarespace is THE fastest way to get a web retail store up and running with the least amount of time, money, or expert ability. Everything from domain hosting to server space and payment acceptance is ready to roll at Squarespace and it can be fully integrated with all major platforms/add-ons with just a few clicks. I run a website that sells skateboards. Squarespace really does a great job showing me analytics and traffic data that helps me really target the people who are viewing my site pages and fine tune the content for what they want to see! Squarespace is one of the best options to create blogs and position them quickly since it has a broad integration with other SEO platforms and with many social networks. An excellent feature of this platform is the tracking of traffic sources, which provides a lot of value and great information about the traffic entering the site. Many of the default templates that the platform has, I consider them very old and aesthetically are not well designed. Squarespace is a very good option for those who want to create blogs or even stores, since you get a very good amount of traffic with the creation of any type of website. With Squarespace we have been able to create blogs and rank them among the top positions thanks to the SEO optimization that can be developed by simply installing add-ons on this platform. "It's the perfect platform for creating a beautiful looking, and beautifully-functioning website." I like how easy Squarespace makes it to create a site that both looks good and works well. I also have access to advanced features such as tracking the site's traffic sources, etc. I don't like how there are additional steps one can take to boost SEO that aren't made available through Squarespace or informed about. I would say if you are debating it, just go for it, because as far as I can tell it is the best around at this point. You can't beat the combination of their website designs and functionality all in one. I am solving the problem of how to make an effective website that both works well and looks great. I do not have to hire a designer and coder because they are a one-stop shop for website creation. They have done all the work already, I just need to put together the pieces. I decided to go from mailchimp to squarespace, so i could use the campaigns and ease of use, by staying on the platform. No a great decision with many flaws. I was told they would get the issue of connecting the newsletter, and other issues fixed in a few days. A week later i have no emails, and no responses, and on chat they are not able to handle this. If you are a business making money, i highly suggest sticking with mailchimp or another provider, as once you get into a problem, squarspace are super average. I am back on mailchimp, and won't be going back as my business has suffered. "One of the best CMS systems for the amateur website designer/developer"
Squarespace allows you to create beautiful, professional websites without the steep learning curve of a tool like Wordpress or Drupal. It's cost effective, easy to customize, and has solutions for almost every website need you might have. When using one of the premade templates, it isn't always clear what is or is not editable. Sometimes you can get pretty far editing a site in one template and find out a specific edit isn't possible. If that edit is important enough, you may have to transfer everything to a new template. A great solution. Make sure you think of all the unusual things you might want on your site (a shop, calendar, member section), but know that Squarespace does has solutions for most of those. This allows us to have a professional, up-to-date website without employing a full-time web developer or learning a complicated CMS. Squarespace can be as simple or difficult to use as the user wants to make it! When I first started, it was as easy as dragging and dropping the elements that I wanted to use, but now I'm getting into adding custom coding. Sometimes I find the website settings difficult to find. I feel like squarespace could make their setting navigation a little bit more user friendly. I find myself scrolling up and down the page or even googling how to find a setting, when it should be very easy to find. Put time and effort into your trial! Once you get to know the product, you are either going to love it or hate it, but you won't know until you use it! Squarespace hosts my website, which is very important! I need my clients to be able to get to know me and my photography before they even submit an inquiry. Squarespace helps me do that. "Squarespace is great, easy and clean but has many limitations"
I love how easy it is to get started with Squarespace and how simple it is to create a website. The templates look great and the back end user functionality is great. The analytics they offer are easy to understand and give great insight. I was able to seamlessly incorporate Sumo into my Squarespace site allowing me to make use of their services easily. The integration with Stripe and PayPal for credit card payment processing make it a breeze to set up an e-commerce site. When it comes to the Commerce packages there are some limitations that may lead you to look at other providers. IN particular the one beef I have with Squarespace Commerce is that you cannot choose different shipping rates for different products. You can choose different carrier and service rates (like Ground, Priority, Express, etc.). But you can only have ONE ground rate or ONE express rate. So if you sell two completely different products that are different sizes and weights, you cannot create different shipping prices for each of them. It's incredibly frustrating and that alone is leading me towards probably switching over to a different service in the near future. If you don't need to be running an e-commerce site then Squarespace is an excellent choice. The templates and ease of getting set up is fantastic. If you are doing e-commerce and are only selling a digital product or a single physical product the Squarespace will also be a great option. If you're selling more than one product of different sizes and weights, you may want to look into other options due to the limitations on setting shipping prices. Squarespace allowed me to set up an e-commerce site relatively quick and easily. Integrations with many other platforms make automation for order taking and shipping painless and easy. I've found Squarespace is increasingly being included as an integration partner with more and more third party services so it does make using it easier and more efficient. "A Useful Tool for an Inexperienced User"
Using Squarespace to redo our website saved us a significant amount of money and provided us control over our presences on the webl. I like how I can quickly upload pictures, add new landing pages for advertisements, and create a smoothly working and streamlined website. The embedded Gsuite capabilities also make it very easy to maintain our business emails. The learning curve is initially pretty steep and everything was a bit confusing to start. However, Squarespace officers great tutorials on how to do things and it does what I need to it do. Great for a new company who needs to control their presence on the web. We had an older version of a website built in Wordpress hosted by GoDaddy that we did not have the internal capability to keep updated. Squarespace allows us to manage our own site and update when we need to while saving money. "Some issues, but ways to work them out. " Overall, I like the current platform of squarespace. It is easy to navigate throughout the different settings and things you can add to your website page. For example, I can choose to add a form, picture, video, text, social media content, online scheduling calendar, make specific pages not available in the main navigation, but so they are available when you click on a button, audio, map, newsletter, and charts. There is only one major issue that I had with squarespace and that was with our tracking codes and how squarespace is not as easily compatible with them. One tracking code that WordStream installed on our site that included the "|" completely took our site offline and then the other tracking code from Google Ads double counted conversions, no matter how we installed it or the settings we choose for the tracking code. If you are installing tracking codes, I highly recommend you do some online research before you install them, to make sure that you install them in a way that is compatible with squarespace. We had issues with squarespace and a couple of our tracking codes, one of the codes made the site go completely offline and the other one double counted conversions, so if only one person submitted a form on the website, then it AdWords counted it as two people. The business problems we are solving with Squearspace is that we are giving customers the ability to read more about our company, the services we offer, and the benefit of our services that we offer before they contact us to schedule a consultation. "Beautiful designs and lots of versatility"
The Squarespace designers definitely have their collective finger on the pulse of contemporary web design – chances are if you've seen a cool hero image placement or parallax design, Squarespace will have a template to match. Pretty easy to get started, especially with all the templates and suggested page layouts available. It's also essentially unbreakable, which for someone without an extensive background in web design makes the design process much more fun instead of frustrating. Also, GREAT set of tutorial pages and videos – covers basically every question and gets specific on how certain features function on individual templates. While Squarespace usually hits the sweet spot between speed of putting together a website and customization, about once per site I design I'll run up against the guardrails of what a particular template permits. Usually I'm able to find a creative workaround, but when there are three separate ways of showing a lot of images on a page (gallery page, a page with an image template and a page with a gallery inserted) and NONE of them do exactly what I want, that can be frustrating. Give it a shot! As a designer I find it easy but non-designers will be able to make great websites as well. As a freelance designer, being able to offer a simple web design option to my clients who are asking for identity design allows me to increase my revenue. Squarespace allows me to spend more of my design time figuring out what works best for my client, vs. spending hours trying to figure out how to do it. "Perfect for quick & low-skill required online exposure"
- User-interface is very intuitive, sleek and well-divided. - All templates are aesthetically pleasing and professional. - The control over the templates is limited, and more controls require the premium plan. I remember that was not the case a few years ago. If you need to quickly whip up a professional looking website for portfolio purposes and don't have to much time to juggle different codes, but still don't want pay for someone to do it, Squarespace is the way to go. "Aesthetic and straightforward but not very flexible design-wise"
This is the "high-fashion" version of WordPress and Wix. All the themes are clear, aesthetic, and like filling in blank spaces with your own words. If you're clueless in all things design, Squarespace takes your hand and leads you through creating your website without veering too far off from the theme. You can change style colours, fonts, and add all sorts of paid add-ons if you're building an e-commerce site. I like the analytics page and the SEO page where you can add keywords you want to be found for. It's also very easy to integrate your own domain even if you got it elsewhere like GoDaddy or WordPress. If you don't have a domain, Squarespace lets you create one "free" with your paid plan. There is an image editor built in so you can add filters, crop it, and other basic editing functions. There is a trial version you can use, but you can't publish your website until you pay for a subscription. You can't copy and paste a section, you have to re-do the entire section all over again. The predetermined widgets are also very rigid and you can't really customize them unless you know HTML/CSS. Not being able to change the color of button text or change text color for individual places is definitely a limitation. I also don't see how to add alt text to images. The price is rather high in comparison to other platforms. If you want something clean, modern, and hard to get wrong, this will do nicely. Professional website for my business. Looks very clean and modern. "Simplicity and Ease For the Small Businessperson"
I have always appreciated squarespace's user interface and quality of design templates. Squarespace has always been a cut above other website building platforms to me because of the constant updating, and variety of complex and cutting edge websites ready to be customized. The price is still significantly higher than some other platforms. While I have stayed with squarespace for years, the price has always been a point of disappointment. I also wish it was easier to embed video content into backgrounds across multiple templates, and the mobile previews and mobile design crossover were better integrated. Squarespace beats out other web building solutions, in my opinion. Squarespace can give you a wealth of exciting options to carry your business' web presence. As i stated before, I am in love with the new templates. The integration of video injection and moving content has sent them over the top for me. The integration of analytics and some cursory web traffic features is exciting and helpful. All in all, I think it's a smart choice for any small business looking to truly have an attractive website. My business needs a website. Squarespace makes it easy for a novice web designer to build a visually pleasing place to showcase art, work, and portfolio items in a flattering and modern style. With a good eye and few hours to learn all the bells and whistles anyone can make a beautiful website in a matter of hours. No more updating widgets every month - your website is hosted and maintained by Squarespace. If your website is having problems, so is theirs so they are on top of it! The support and visuals are amazing. It can be difficult to find a qualified Squarespace developer or expert to help you get set up and started. I think there's a community board to find someone but I can't remember. 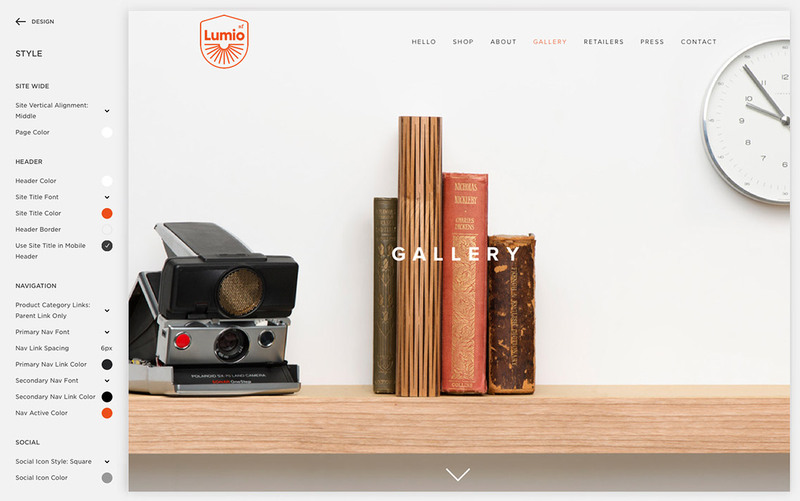 If you're tired of updating widgets or the high cost of WordPress, take a look at Squarespace. I am using it for my website. I set up a landing page after each of my public talks so I can capture leads from the talks. They go right into my email software I'm using. The automation is really helpful for a small business. We recently switched to Squarespace. I am not the main administrator, but I do create pages, forms, edit the calendar, edit pages, etc. I like that it is so easy to use and intuitive, which allows someone like me who can not write code, to still edit and create pages on our website. I like that it allows moving images on the banner we have on our front page, which makes it more aesthetically pleasing and allows us to keep things up to date. There are many features that allow our people to interact with the website itself. I do wish the calendar feature allowed events to not merely be copied but span a time frame, for example, a recurring event that happens once a week for 12 weeks. It is tedious to have to copy each event. I also wish the website itself was more customizable, although it does serve its purpose for most of our needs. It would be nice to have graphics that can be highlighted or clicked on that allow more text to appear/open in a new window. Perhaps this exists and i am unaware or we have a more basic package. Squarespace works great for our organization and is a big upgrade from what we used before and many other websites I see out there. It is relatively customizable and allows us to make it unique to our organization and carry our "DNA" even into our webpage. It allows our people to interact with us through content we add on the webpage for them or them to reach out to us. "Fantastic platform for a polished web presence "
The assortment of designs and ease of use help me get the look of a beautiful site without hours of work or the need to hire a designer. The interface to change the design/layout is effortless to navigate. Squarespace also updates their templates on a regular basis so you can keep your page looking fresh and on point with the current trends. I don't have anything negative to say about Squarespace. I've been using them for about four years and don't see an end in sight. I guess the ability to generate contracts and invoices through my site, instead of just selling fix-priced items, would be nice. But that isn't a deal breaker for me by a long shot. I'm sure that would just increase the cost to use it, which I wouldn't like. Make sure you check around for a promo code. Squarespace is a sponsor of the Podcast Comedy Bang Bang so they usually offer a promo code for new customers. I'm creating an online presence to showcase my work and providing information on contacting me as well as my rates. "Anyone can master website design with Squarespace"
The ease of use of Square is the best. As someone in a marketing and communications field, saying anyone can master design is nothing something I take lightly. Squarespace makes design easy so the world has many more interesting and visually pleasing websites– GeoCities this is not! It's important to come to Squarespace account with content in-hand. You'll likely be impressed by all of their templates and would like to have your site completed as soon as possible. Squarespace isn't a replacement for nice content, come in knowing what you want to convey and use your account to achieve that goal. When formatting text, Squarespace can occasionally have some issues in the user interface, it is difficult but not impossible to mirror formatting across the site. Calendar functions could use some help and some reservation options would be nice to build out options. We use our site as a source for current members and prospective members for a rowing organization, having expanded integration would help us segment our users. There isn't much else out there to be a one-stop-shop for website building, hosting and even commerce. Try it. Transitioned a rowing website from a lack-luster Wordpress template to Squarespace so people would actually use the site. We needed to combine a news site, blog, calendar and boat reservation system. Squarespace allowed us to bring what we needed into one central location. Our site (toledorowing.org) is nice and shiny. "SquareSpace is the best for those looking for an inexpensive website"
The best feature of Squarespace is the fact that anyone, even those without any web development experience whatsoever. 20 years ago, it was very considered a very desirable skill to be able to create a website. However, these days, the expected quality is much higher, and a high quality service such as Squarespace makes this possible. As long as you don't intend to build a marketplace using Squarespace, it is the way to go. Squarespace is what we used to primarily design our website for Harding Software. It has made the process dramatically easier, with the most notable benefit being that we did not have to hire a web developer to create a website. We avoided the issue of high costs by not hosting any of our transaction features on the website. "Great Software to Create Beautiful Websites"
Squarespace really takes care of all options for you. You can create your own domain, your own email, and an ad free website all in one place, which was a huge plus for me. There are many different layouts to choose from that are able to serve various different needs and services. The analytics are awesome and really help me understand what people are interacting with on my website. They even offer a google adwords credit for signing up! I think this is the best platform for creating your own website, making it look professional, and avoiding paying someone thousands of dollars to do it for you. It is fairly difficult to customize within certain layouts, and the process is clunky, with having to go to a different 'design' tab to do so. The pricing is moderate but you get what you pay for! Watch all of the video tutorials!!!! Even watch a few before getting started. I consider myself fairly tech savvy but I had a lot of trouble trying to figure it out myself without help. Watch some videos first to avoid getting frustrated like I did! It has helped me create a beautiful website to help drive my business. 100% of my business so far has come from people online and interacting with my website. "Here you can choose what suits you"
A large number of beautiful and modern templates. There are many categories for creating a website: food, music, fashion, wedding, etc., you will definitely find something for yourself. Allows you to change the template without knowing the programming. The program interface is easy in its work. Customer service always works well. If there are questions they quickly and professionally answer on them. I would like that the cost would be lower. Some customers need to change the functions and settings of having templates, but this can not be done. In my work on the program, I did not encounter any problems. If you need a beautiful and quality website then Squarespace will help you in this. The site that you create will appeal to all your visitors. Try it and you will understand that the Squarespace is really good. I use the program to create sites to order. I do my job quickly and easily with Squarespace. Customers are satisfied, as it is easy enough to manage the site, and it works perfectly. "I sold custom websites for a design agency. Squarespace is better." Great UX, great documentation, smart (if limited) integrations, a lot of power lurking beneath the turn-key products. The commerce product is still baking. Shopify is better at bulk inventory management, payment processing, shipping, and fulfillment. While Squarespace positions itself as a consumer/DIY product, the benefits the platform offers as a white-label SMB product are already powerful and evolving consistently. The Circle program lights a path to a thriving development community that can guide future iterations of the platform. Squarespace lets me deliver SMB clients a sophisticated, data-driven content strategy without the expense of a from-scratch agency website or the poor quality of the DIY, my-niece-has-a-friend-at-college-who-does-websites product. While turn-key Squarespace sites ensure that I can provide an attractive, reliable, basic website to my clients, the real power comes in the integrations (MailChimp, Acuity, OpenTable, etc), easy CSS injections, and the deceptively powerful collections functionality (blogs, galleries, calendars, and summaries). Brass tacks: I feel confident that I can sell a Squarespace site, including content strategy and monthly marketing retainer, against agencies charging 2X or 3X for similar white-label or custom-built products to SMBs. "Create your interface with big ability working tools." This platform gives me anything that I need to operate my company. Also, I like that I don't have limits on the number of items or services I can sell. Plus, I can list products with a plural option. The solution helps our business increase. I can discuss a lot about this software but I will not complain about it. As I know that software is full of organized tools and I will tell that to understand them is not very easy special for people who are just starting to use it. With this software, your shop will be organized to accept PayPal and Apple Pay which is really very great. You will have alternative payment service are fast and easy, saving clients time and issue in more sales for us. Create your efficient ideas work for all your company. We can engage with products across included videos, pictures, related items, and much more. 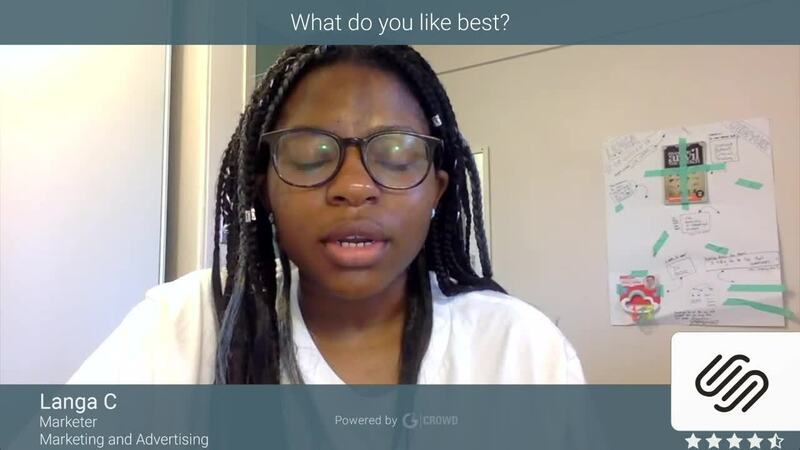 With a faster view, we can quickly study the product and add them. We are have the ability to create more creative work in our online shop. There were many options for both free and paid themes; the learning curve wasn't horrible and fairly easy for beginners to use. There's a chance to really go big with your business/website using Squarespace! The themes are easy to manipulate and rearrange to best fit your business needs. I also like how much storage is included - I haven't had any issues with the speed of the site loading even though I have many high-quality images on my page. It's great for photographers! Plus, the customer service is great! Kirstyn was helping me a lot recently and it was painless and in the end everything worked out great! It's hard to get straight-forward help. I emailed a few times about finding a list of people who subscribed prior to me linking a MailChimp account and never got the help I needed. I was only referred to blog posts about it, which I had already read and didn't find helpful. It's hard to get good analytics; actually almost impossible to get useful ones unless you use Google Analytics. Lastly, the cost is a bit premium. There are probably cheaper options out there but since I started my website using this app it's just way easier to maintain it. I don't have the resources/time to change to a cheaper version - although a cheaper version like WordPress also has limits tot he pages/set-up which also prevented me from switching. Set up the subscriber list right away or take it off, depending on the theme, or you'll lose some subscribers' names. Also make it easier to download content - like blog posts - because I needed copies of my posts and I had to go back in and manually copy and paste the content. I'm able to brand myself and my personal business better by having all of my work (photography and writing) in one location, while making it look professional! The subscriber list is great, so now I can reach out to people who visit my site. I never thought of using that before until I joined Squarespace. "Easy to make high quality websites"
There are times when I wish greater customization for layouts and organizing elements on a site page were easier. While other services like Wordpress are out there and cost-effective, I do not find it as easy to use. So be honest about what your own capabilities are to design and manage a site. There is nothing more frustrating than wanting to make changes or updates and not being able to do so, or needing to wait days for changes to be put through. Every business needs a website and a web presence. We have saved significant money every month, over time it is hundreds of dollars per year. "Well designed templates, Easy use"
I like the varied templates that are available for your use, as well as the ease of utilizing those templates and tools to customize a website that meets your needs. Pretty intuitive set-up. Squarespace has made having a professional looking website a reality for a very reasonable cost point. The downside is that when you would like to make significant changes, you might reach a dead end (or at least a dead end for someone who isn't a developer). I am also having some issues with finding a good solution in utilizing a database that integrates. 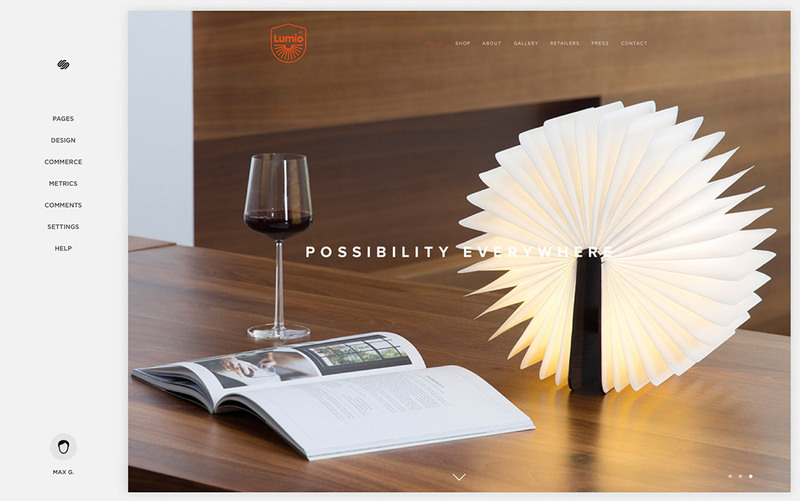 Squarespace offers elegant and an eclectic mix of template designs for your website. This is easy to use and quite cost effective. I am on the board of directors for a nonprofit and it was a no-brainer to use this as a solution to move our communication needs and brand forward. We needed a website facelift to bring us into 2018 and Squarespace delivers that possibility. "Create useful and comfortable site with the big amount of working tools"
It completely suits me. I like this simple and proven way to present my concept online. Stand out with a powerful website or online shop. The big step to create my site uncommon with customizable installation, including fonts, coloration, and page fashion. Perfectly works for a long time for all my solutions. The service doesn't bring any bugs and problems. Step by step I learned all existing tools in Squarespace. Yes, I can't say that it is easy from the begin. Maybe will be better to have a more open way of using the tools. 100% that I recommend this service. You will have the opportunity to work more productive. Using this tool is a super easy and don't need any professional skills for it. Also, the software has a lot of attractive tools. Let your productive ideas work for you. The powerful platform which will make a better and open way of creating websites and can save your working time. With Squarespace we made our online store alive. "Great Platform Quick Standard Website Builds"
The code embed block and extra space block save me time constantly. With the code block, I can embed integrations directly that Squarespace has not already built an integration for. And with the space block, I can very quickly add vertical or horizontal padding to content (space between the element and the surrounding elements) on the page without adding an extra code block with a div with padding on it. Squarespace will give you a very clean professional site in a short amount of time. However your site will start to always look like every other Squarespace site in some subtle ways after you've worked in the platform for a few months. To stand out, you'll still need a creative designer, but I still recommend this platform as on of the best to get up and going quickly. Love the customer support for squarespace sites; however, the rate at which they create new integrations with new rising platforms is so slow it sets them behind. If not for the embed block, Squarespace would be almost unusable in some scenarios. For example, several clients use different booking platforms that the folks at Squarespace have never heard of, nor plan to ever integrate into the platform. "Great tool to increase a good work at the online store." I like that very much. As it helps me with my sale. Perfect when you are working on the online store. A good chance to sale faster all my items. Support service is really nice and takes care of you. They will make your working day much simple. All of the things are working right and fast. This is exactly what I need. Not all elements in the design are located conveniently, as I would like. Also sometimes there are not enough tools to do something special. Great to make your business really work. Helps to your team work better and more concentrated. With one click your web can be interactive. Squarespace gives the ability to create more useful web and easy way for you to present all your ideas. With this software you you will have all powerful tools for your online store. We are using that platform and work with this tools every day. I know and I feel that I have more customers than ever. Great software to develop your business. I like it very much. I would definitely recommend the software. I recommend paying for it if you have a business. I purchase the cheapest version available and total love and all the capabilities. The subscription has increased by $10 each year which I've continued to pay, but my website is absolutely gorgeous and easy to manage and design! I definitely solve the problem of getting my information out there and advertising. The benefits are endless for having your own professional website for your business. A great plus for me, I was not having to have someone design my site for me and to be able to do it myself. "A Little Pricey, But the Best Solution I've Found "
I'm not exactly new at building websites, but I'm definitely not the type to build one from the ground up (besides lacking the skills, it just doesn't sound fun to me). Squarespace gives me just enough to feel like I'm making a really custom, functional website, without having to start from scratch or know *a lot* of code. It's an outlet for my creativity without being a burden. The price isn't terrible, but it does add up after awhile (especially when you're already paying for a domain name). And the customization is perfect for me, but it is a template-based platform so it might not give everyone all the features they'd like. I would recommend that anyone thinking of using Squarespace demo competitors like Wordpress and Wix, to get a feel for the variety out there. To me, Squarespace gave the most polished results with the least headache but it may not meet every customer's needs. I've created a well-designed portfolio that showcases my work as a marketing professional! I also use it to help manage my colleague's small nonprofit website. "Not for people that know what they're doing"
Squarespace has some nice templates and is fairly user friendly if you don't have very specific ideas about what your site should look like and you don't need it to do much other than advertise your business. The drag and drop functionality of the templates is very frustrating. You can't always get elements to go where you want them to go and you are stuck with a rigid column-based layout dictated by your template. If you want one section of text to be a different color than the colors specified in your styles for whatever reason, you must use custom CSS code to make that happen. E-commerce has limitations as well if you're selling experiences (like tickets to an event, for instance) instead of physical products. If you have experience with custom web development and design, you will probably find Squarespace frustrating and limiting. There are other wysiwyg editors that are more user friendly. I've used Squarespace to quickly set up websites for small businesses. The site is competitively priced and is easy for a web design novice to use. "Great product for easy websites"
As with all programs, there's a learning curve to get started. But once you're past that, this program could not be easier to use. Squarespace also has really great and responsive customer service and a transparent pricing model- no surprises and hidden costs, which I really appreciate. I would totally recommend this to another small business owner who needs a web presence. As with all products, there's a learning curve in the beginning. Set aside a day or so and just be okay with the fact that you'll be frustrated for a bit. I also wish it was a bit cheaper, but that's with everything. I suppose. Overall I would still recommend this though, after having tried a few other options. I would definitely recommend squarespace to a small business owner who needs a web presence. It's quick enough to learn, and once you do, updating the website could not be easier. Also I am impressed with their customer service and transparent pricing model. Squarespace makes it so easy to set up a website- any beyond that, to keep editing and updating it as you need to. They also have really great customer service. Would definitely recommend this to a small business owner who needs a web presence. My favourite thing about Squarespace is the versatility - if you don't have a lot of coding experience, you can still create a basic website. However, if you have the knowledge, it still allows you to inject your own code so you can add some more advanced things to your website. I completely understand why this is the case, but I would say that something I dislike is the support staff's rule that they never even try to help you with a problem if it remotely involves any code that you wrote yourself. I have used Squarespace for the past three years to run my tutoring business. It has allowed me to showcase everything about my business as well as allow students to book with tutors right online!